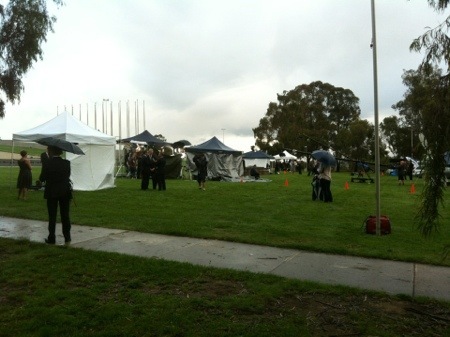 The media have descended on the lawns of Parliament house, from their Sydney abodes. Here is the view. 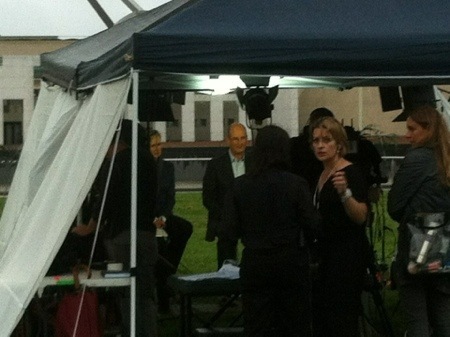 Sky News on the right, Sunrise on the left. 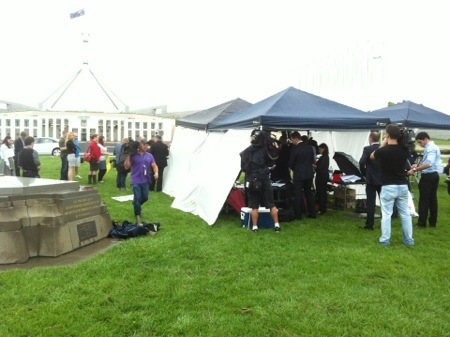 Sunrise hosts on the left, interview a politician on the right. 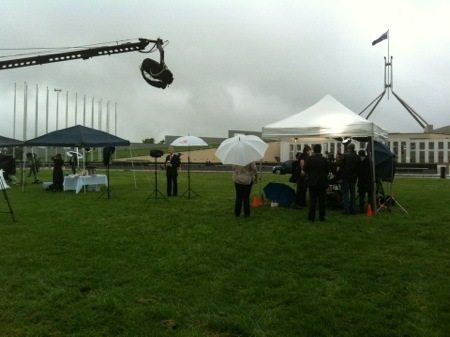 Why not just bring him in to the tent? 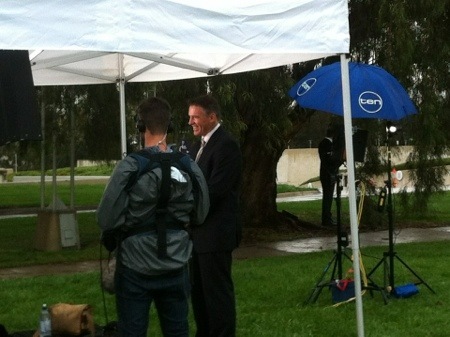 Rob Oakeshott being interviewed by Ten, whose hosts are back in the studio. 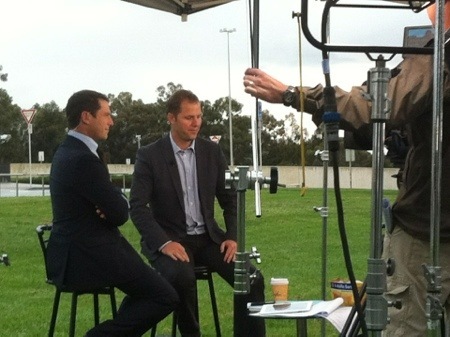 The Today Show’s Karl Stefanovic with someone (Update: it’s former advisor to Kevin Rudd, Lachlan Harris). 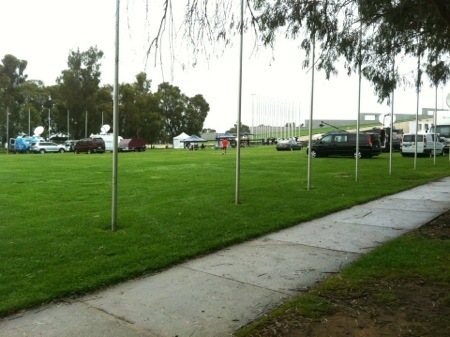 It’s almost a tent embassy of its own. 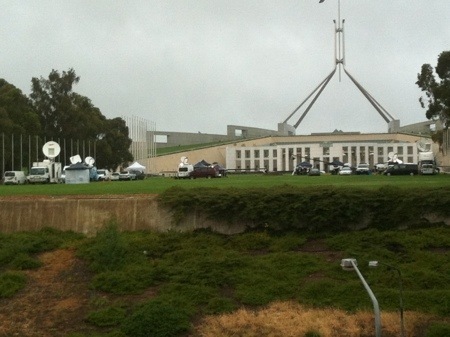 I can’t see the ABC, but I’m sure they’re here somewhere. 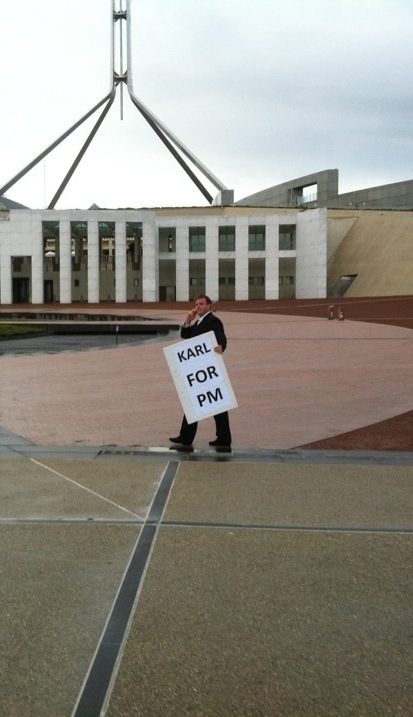 I think it’s a radio stunt as this person appeared to come from the general direction of the Mix 106.3 car, and was giving an interview to someone on the phone, but it looks like Karl Stefanovic gets at least one vote to become the next Prime Minister. 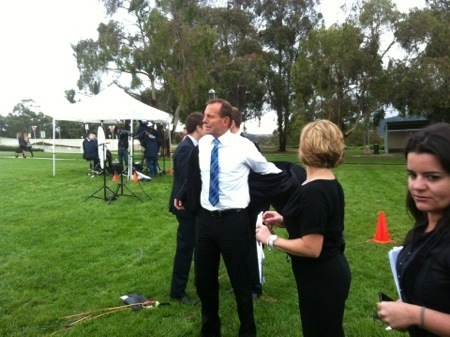 Update: Tony Abbott has arrived, and looks set to appear on Sunrise after Kevin. 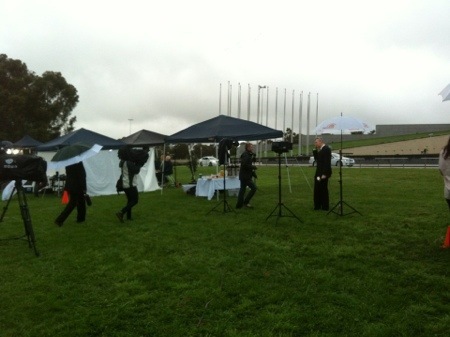 Another update: Look at the media swarming around the Sunrise tent with Kevin Rudd and Tony Abbott there. 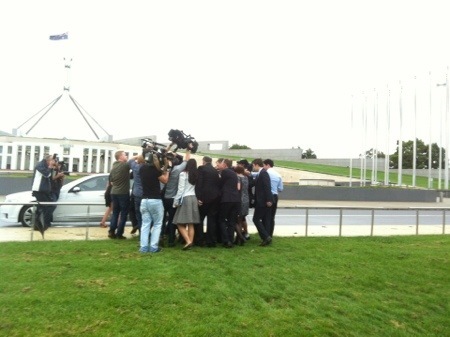 And my goodness, aren’t they excited when he tries to get to his waiting car. 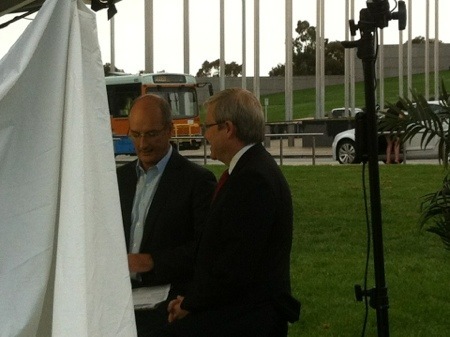 A final observation: After Kevin Rudd and Tony Abbott appeared on Sunrise from out the front of Parliament House, Kevin Rudd was driven to Parliament in a government car, but Tony Abbott walked. Remind me who was supposedly more environmentally friendly?